No one knows what their child's first day of school will be like. There are all these little things to remember. Facts that we know so well that we take for granted. Like a last name, what class you're in, and where you live. 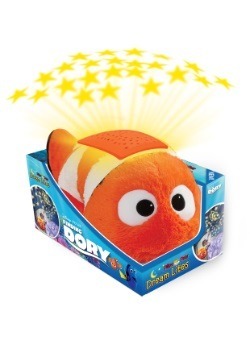 Poor Nemo had to figure out how to pronounce an amnemonenome. . .anememonema. . . amnemoneno. Gosh, never mind then! Anyway, our point is that the world is a big place, even for little fish who don't live in the deep wide sea. No matter what might happen, out there in the world, you’ll always be there for your little guppie. 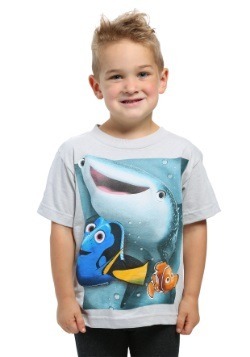 As wide as the world may be, the movie Finding Nemo has a few tips for your young guppie. First off: listen to your parents. If they tell you not to touch the boat, don’t touch the boat! Secondly: accept help. 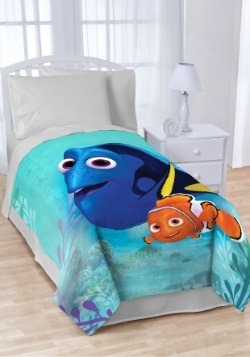 If Marlin didn’t accept help along the way he would have never made it to Australia to find his son. Thirdly: friendship is important and the more you get out there the more friends you’ll find! The most important lesson of this underwater tale? 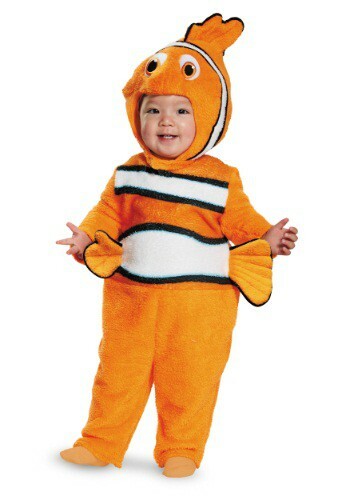 Your little one should just keep swimming because you’ll never give up on them where ever they are! 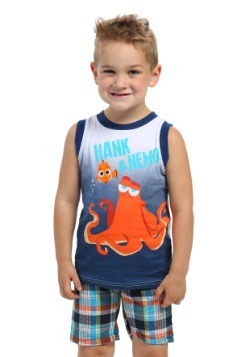 Whether they’ve got their sea legs or not, any kid is sure to love this colorful ensemble! 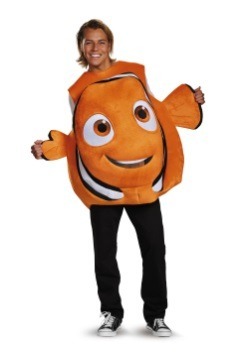 It’s a soft jumpsuit with fins at the waist and on the hood. The outfit has white and black stripes around the belly of this suit. 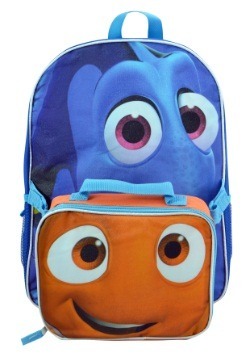 It comes with a large-eyed hood with a fin on top. And when your little one starts going to school just remind him, don’t touch the boat!